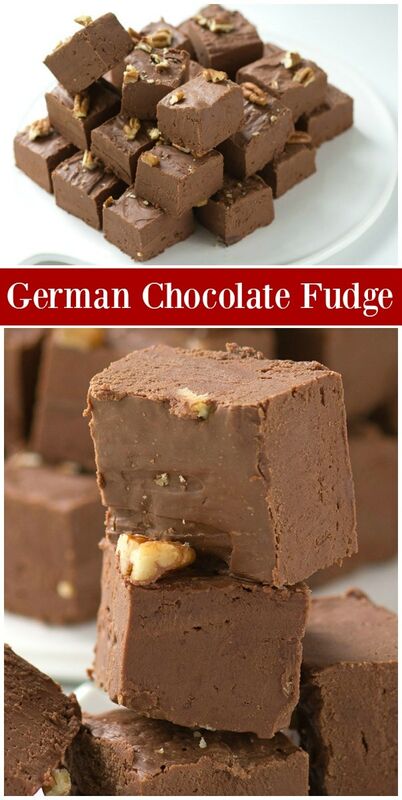 This German Chocolate Fudge is a super easy and delicious chocolate fudge recipe! This is a sweet chocolate fudge with a creamy texture. The most famous “German Chocolate” recipe is for German Chocolate Cake. Although it sounds like it’s a German cake, it’s really not. It’s believed that the German Chocolate Cake recipe began appearing in the 1920’s. It gained big popularity when someone published a recipe for German Chocolate Cake in a Dallas newspaper in 1957. The name of the cake refers to the type of chocolate used in the cake- German Chocolate. 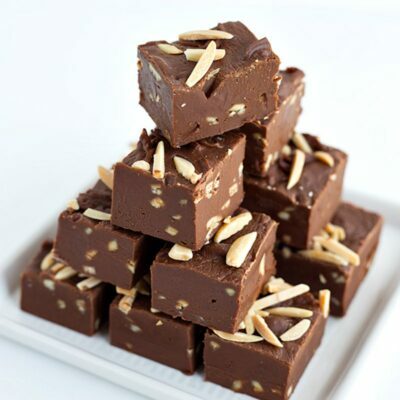 Same with this German Chocolate Fudge recipe. You’ll need German Chocolate. Don’t worry- it’s easy to find in your regular grocery store. German sweet chocolate can be found in the baking aisle of your grocery store. It’s sold as “Baker’s German Chocolate Baking Bars.” Look for the 4-ounce box on the shelf with the other baking bars. You’ll need three boxes for this recipe. German’s sweet chocolate is a dark baking chocolate that was created in 1852 by Samuel German, who was working at Walter Baker & Co. And so the Baker’s brand of German Chocolate began. German wanted to create a sweeter chocolate (sugar added) that would be nicer for bakers to bake with. German’s sweet chocolate is a bit sweeter than semi-sweet chocolate. Is it hard to make fudge? Fudge does have a reputation for being difficult to make, and it’s true that it can be a bit tricky sometimes. The heating process (boiling the ingredients) is what can make or break a good fudge texture. 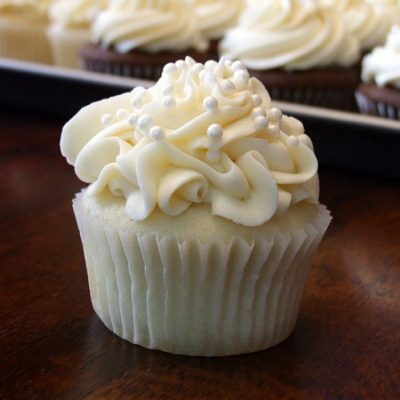 Sometimes it will turn out a bit grainy, and if it’s perfect then it will be more creamy. It takes practice! The good news is that German Chocolate Fudge will be delicious whether it’s grainy or creamy. What’s the best way to store fudge? Fudge has a relatively long shelf life, if it’s stored properly. Wrap each piece of fudge in waxed paper, then place the pieces in an airtight container such as a sealable plastic bag or box. The wax paper will prevent the fudge pieces from sticking together. Alternatively, you can wrap your fudge in plastic wrap or aluminum foil to protect it. It will keep about two weeks at room temperature. It tends to dry out if kept in the refrigerator. Yes! I often make this German Chocolate Fudge for the holidays, and I like to make it early and keep it stored in the freezer. Simply wrap and package the pieces, then place the container in your freezer. Your fudge should last for several months. When you’re ready to bring your fudge out, take the wrapped pieces from the freezer and leave them at room temperature for two hours. 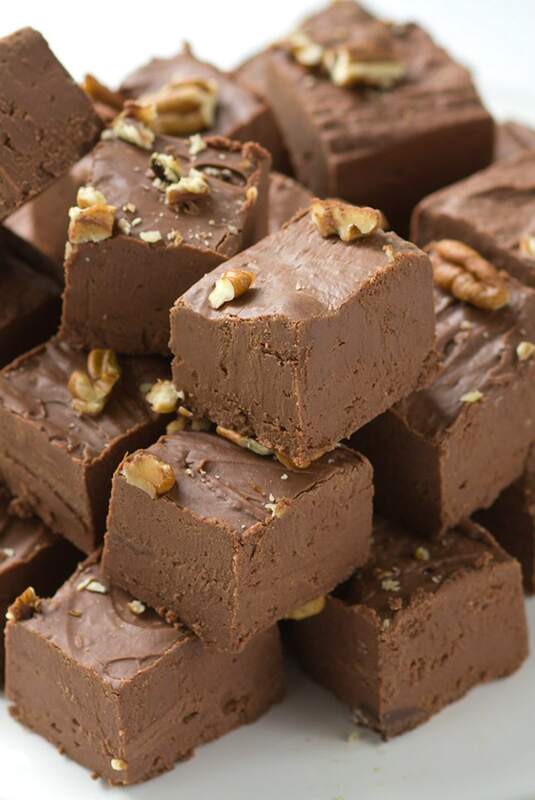 You might spot some moisture on the fudge as it defrosts, but just let it sit and the moisture will dry up. If you are looking for a super easy fudge recipe that usually comes out perfect every time– nice and smooth, sets up perfectly and melts in your mouth… this German Chocolate Fudge recipe for you! 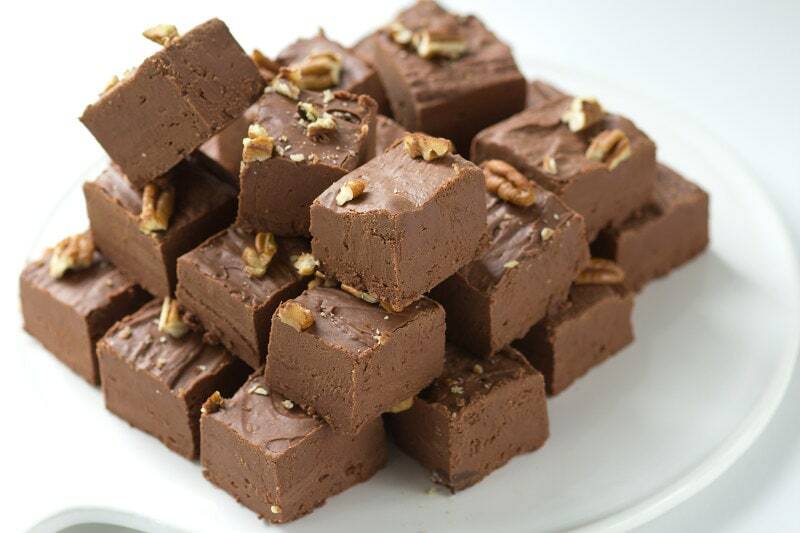 This recipe makes 5 pounds of fudge. I know that seems like a lot, but it’s really just one, big cookie sheet full of fudge. The nice part is that you can cut it up and package it as gifts. 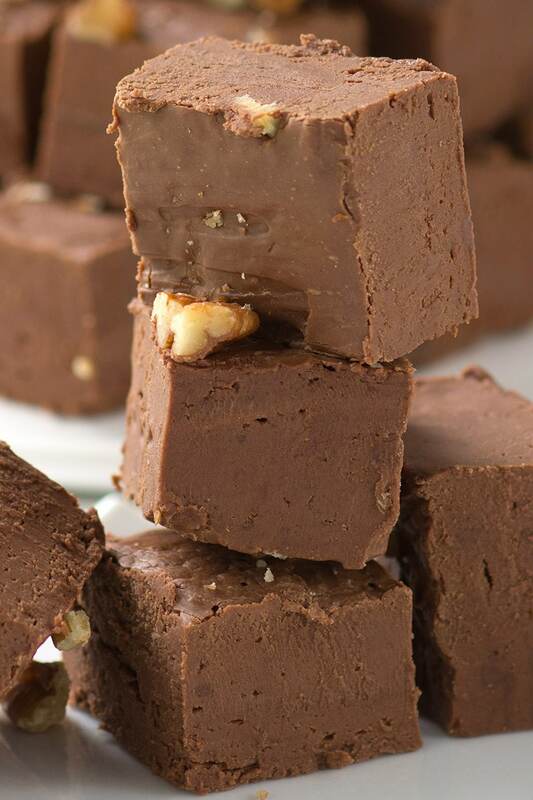 You’ll need a rimmed baking sheet to make this fudge. 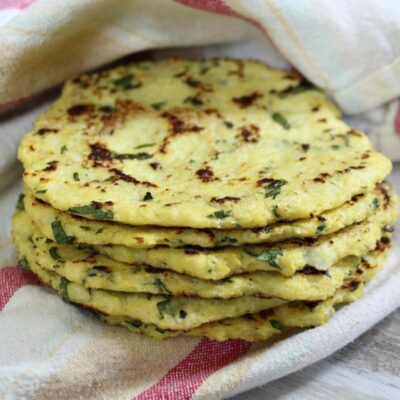 Here’s a 15×10-inch rimmed baking sheet on Amazon that you can order and use for this recipe. Amazon also carries the Baker’s German Sweet Chocolate. 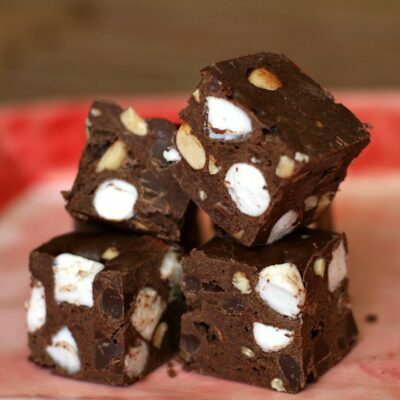 This fudge recipe is rich and chocolatey. The perfect texture! Butter a 15x10-inch (rimmed) jelly roll pan. Combine the chocolate and marshmallow creme in a large bowl; set aside. Combine the sugar, butter, milk and salt in a heavy skillet. Bring to a rapid boil, then boil 6 minutes, stirring constantly. Remove from heat and stir in the vanilla. Pour the hot butter mixture over the chocolate mixture in the large bowl. Stir with a wooden spoon until smooth. Add the nuts and mix well. Spread the fudge into the prepared pan. When cooled, cut into 1-inch squares. 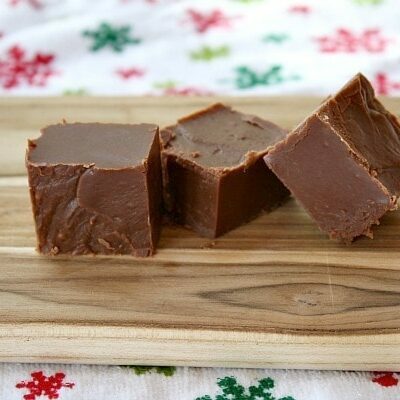 Fudge is my ultimate weakness around the holidays and this is amazing! I love chocolate fudge! Looks so delicious! These are perfect holiday treats!! My kids loved it! 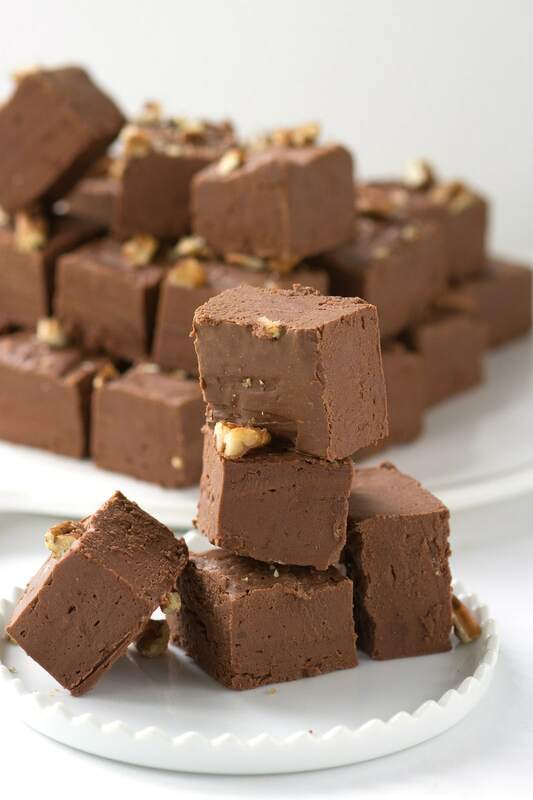 The perfect fudge recipe! I had so much fun making it! 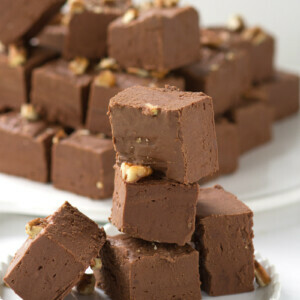 This fudge is dreamy and yes, it freezes beautifully! I always make German chocolate treats for my dad. 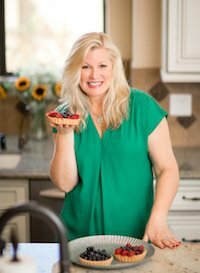 Thanks for a fun new recipe! 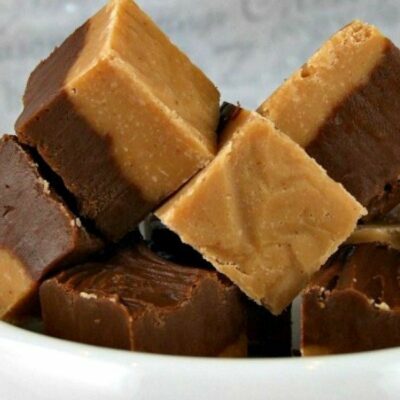 Such smooth and silky fudge! I think this will become a holiday tradition!!! Love how creamy this fudge turned out! Could I wrap the whole slab of fudge before it is frozen and store it that way and citnonce it is defrosted? Chances of me having the patience to wrap each individual piece are about zero! I wish I could do it and I know it would be the preferred method, but…. Well, that is certainly an interesting option. I guess if you have room in your freezer to wrap and store the whole slab, that would work. But how would you put it in a sealed container? 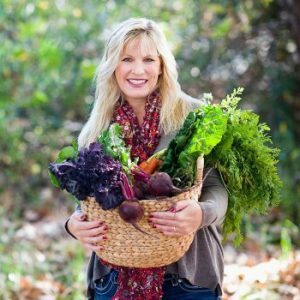 Maybe cut in four large pieces and then put into a container? Is the amount of evaporated milk really 13 oz.? Only asking because a typical can is 12 oz. Thanks! oh goodness, let’s go with 12. Sorry for the confusion! Sounds yum yummy. Will make it for birthday treats & xmas. .